At the preschool level our focus is on developing the foundational skills of phonetic awareness so that the children can both recognise and reproduce the sounds of English. The phonics lessons are built around developing their knowledge of these sounds and using them to begin constructing words. This begins with simple CVC (consonant-vowel-consonant) words, such as C-A-T, and progresses into reading short sentences as well. The program follows a curriculum developed by a leading University in England that was designed specifically for children learning English as a second or foreign language. At the elementary level we continue deeper into this program to the end of reading pictures books and constructing larger blocks of text. The books from the program are level appropriate for the phonics the children have been learning and we begin to focus also on their ability to not only read the words, but fully comprehend the meanings of the stories as well through prediction, illustration, and pair work answering questions. Our aim through this pr ogram is to ensure that the children can not only recognise the English alphabet, but begin to assign sounds and ideas with the words that those letters create. 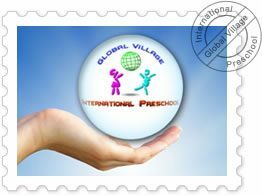 It is an evenly paced program that ensures every child can follow along and progress.